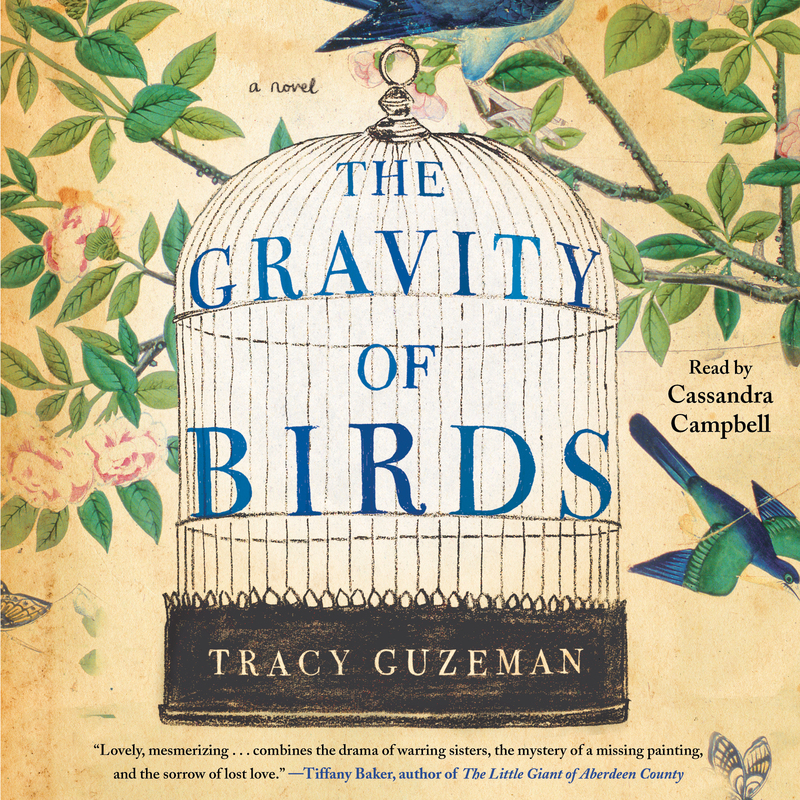 This reading group guide for The Gravity of Birds includes an introduction, discussion questions, ideas for enhancing your book club, and a Q&A with author Tracy Guzeman. The suggested questions are intended to help your reading group find new and interesting angles and topics for your discussion. We hope that these ideas will enrich your conversation and increase your enjoyment of the book. Alice Kessler and her older sister, Natalie, first met the brilliant young painter Thomas Bayber towards the end of summer in 1963 while vacationing with their parents in upstate New York. Both sisters were drawn to Bayber, and their encounters with him that summer changed their lives and their relationship with each other forever. Forty-four years later, Bayber is a renowned yet dissolute artist nearing the end of his life. He summons Dennis Finch, an art history professor intimate with Bayber’s work, and Stephen Jameson, a young art authenticator hoping to regain respectability in his field, to show them a previously unknown painting: Kessler Sisters, a disturbing work that depicts the young Bayber, Alice, and Natalie. Bayber’s desire to have the painting sold ignites a chain of events requiring Finch and Jameson to find Alice and Natalie. But the sisters have disappeared without a trace. The story weaves together the past and the present, revealing the sisters’ histories with Bayber as young women, as Finch and Jameson come closer to locating them and learning the truth. It is an emotionally gripping story that shows how families tear themselves apart and then try to bind themselves together again, not always resulting in the same fabric. 1. Reread “No Voyage” by Mary Oliver, the poem that opens the novel. Alice puzzles over this poem at the beginning of the story, trying to understand the “secrets in the lines.” (p. 9) How do you interpret the poem? Now that you have read the novel, think about the poem in the context of the characters and their situations. How would young Alice relate to these verses? How would Alice feel differently about the poem as an older woman? 2. When Alice stops by to see Thomas at his lake house, she decides: “This place was like Thomas…flawed and sad, yet perfectly true.” (p. 19) Look back at a description of each place. How do the various settings throughout the novel reflect the people who occupy them? Are the characters able to leave their pasts behind by relocating? Discuss how settings, particularly homes, preserve memories and emotions. 3. Thomas tells Alice that the job of an artist is “to make people look at things—not just at things, but at people and at places—in a way other than they normally would. To expose what’s hidden below the surface.” (p. 20) How does Thomas achieve this in his paintings of the Kesslers? 4. Alice suffers from rheumatoid arthritis for the majority of her life, and the illness almost becomes its own character with an active role in the story. Other than its obvious role in restricting Alice’s physical abilities, how else does Alice’s illness affect her life as well as the lives of the people around her? 5. The story is told from multiple perspectives: Alice, Finch, and Stephen, but never Natalie or Thomas. Discuss how this narrative style affected your reading experience. What does each person’s point of view contribute to the story? Why do you think the author chose to leave out the voices of Natalie and Thomas? 6. Finch and Stephen are both in the art world, but have contrasting ways of approaching art, even differing in their opinions as to the way art is best viewed: “…people go to museums to see an exhibition someone has told them they have to see. The implication being that unless they see this particular exhibition, and have the appropriate reaction to the work, they have no real appreciation for art.” (p. 173) Discuss whether the environment in which we see art influences our experience of it, and how you feel viewing art in a crowd versus viewing it in a more intimate setting. 7. Natalie and Alice have a strained, sometimes hostile relationship. Yet there are a few moments in the novel when Natalie is truly there for Alice. Explore some of the factors at play in this sibling relationship. Does Alice always deserve the reader’s sympathy? Do you think Natalie deserves Alice’s hatred? (p. 204) Does she deserve the reader’s hatred? 8. Alice is drawn to both Thomas and Phinneaus, two very different men. What does she see in each of them? Discuss how love can take many forms, and consider other instances of love between characters. 9. When Alice discovers her daughter is alive, she contemplates what it means to be a mother: “So she was someone’s mother…But evidently not the sort who would know, instinctively, her own daughter was alive.” (p. 259) What does it mean to be a mother? Do you think Alice is right to identify with Frankie’s mother? 10. Before Alice’s trip to Santa Fe, Agnete was unaware of her true past. Alice assumes that since “Natalie went to see her twice a year…Agnete must have loved her.” (p. 265) Imagine the conversation between Agnete and Alice, when Alice reveals what actually happened. Do you think Agnete tries to justify or excuse Natalie’s actions when she is talking to Stephen? If so, why? Talk about the role of forgiveness in the story. 11. Find descriptions of the Bayber lake house and compare them with Thomas’s rendering in Kessler Sisters. What elements does Thomas include and why? Dennis and Stephen infer things about the relationship between Bayber and the sisters based solely on the painting: “On canvas at least, the sisters seemed to have no connection to each other, circling in separate orbits, whether around their parents or Thomas.” (p. 298) Discuss how Dennis and Stephen interpret both the painting and the small sketch of the Kessler family. How accurate are their speculations? 12. When he needs advice or another opinion, Finch often turns to his “spiritual advisor”—his deceased wife, Claire. Do you think this is a healthy way for him to cope with her death? All of the characters in the novel experience some sort of loss, and each of them deals with it in their own way. How do different characters come to grips with loss in the novel? 13. Why do you think the title of the novel is The Gravity of Birds? The gallery owner in Santa Fe muses that “people envy them the ability of flight…Maybe not just their ability to fly, but to fly away from, is that it?” (p. 281) Do you agree with him? What do birds symbolize in the book? Find other examples of symbolism in the text. 1. Visit a museum or gallery and view the artwork through Stephen’s technical lens. Look for patterns in an artist’s signature or technique. Then regard the same art as Dennis would approach it, in an emotional visceral way. Discuss the merits of each method of appreciation. Describe a work of art–be it a drawing, painting, piece of sculpture, or photograph–that you have found particularly moving. 3. Thomas doesn’t get the chance to tell Stephen the truth about their relationship in person, although he does so in the letter that ends the novel. But he doesn’t write a letter to his other child, Agnete. Pretend you are Thomas and write a letter to Agnete, or discuss what Thomas might have written (or said) to Agnete given the chance. 1. What inspired you to write The Gravity of Birds? Two things, really. One was to fulfill a personal goal: to write something longer than a short story. The second was a family painting, a portrait of my great, great, great grandmother sitting between her two daughters. I’ve been fascinated by that painting ever since I was little, always wondering what those women’s lives must have been like. Their story, once I was older and heard what it was, was very different than what I would have imagined from looking at their portrait. 2. You’ve written short fiction before, but this is your debut novel. What is your writing process and how did you adapt it to writing a longer work? I love the form of the short story, and of “flash” fiction, and the challenge of trying to distill something down to its essence. But regardless of length, once I’ve gotten a good start on a story, I can stay buried inside it for quite a while before coming up for air. It’s easier for me to stay locked in the world I’m creating, as opposed to slipping in and out of it, so I typically write in bursts, long or short, instead of committing to a certain number of hours or pages a day. It was actually helpful to the process, or at least less daunting, to be able to tell the story from three different points of view, and from different points in time. That made it easier to take the leap from short story to novel. At some point, Alice, Finch and Stephen were probably half-formed characters in various short stories I was trying to write: a story about siblings and the wrenching weight of care giving; the story of a young man who comes to understand he’s a failure at an age when most people feel they can do anything. But those stories never found a right ending; they just sort of tumbled off the edge of a cliff. I realized the characters’ lives were more complicated and messy than the lives I’d sketched out for them; their problems weren’t going to be easily solved. I was too intrigued by them to walk away, so I started wondering–how might their lives intersect? Of course once that happened, they morphed and became different characters; I only recognize the faintest outline of who they were originally. 3. The story includes characters intimate with the art world. Do you have experience with art authenticating and auctioning? If not, how did you go about your research for the more technical sections of the book? My personal experience with auctioning and art authentication is nil. But I really enjoy the part of the writing process that requires doing research. The danger for me is becoming so enmeshed in everything I discover, it’s sometimes hard to pull back and focus on finding the answers only to specific questions. Obviously, museums are a wonderful resource when trying to learn more about art history and authentication, and I was very fortunate in that, during the period of time I was writing the book, there seemed to be a glut of articles about art forgery and the state-of-the-art tools experts were using to determine the provenance of a piece. 4. Who is your favorite painter and why do you admire them? My taste in art is very eclectic. The year I graduated from college, my parents gave me two lithographs by Bernard Gantner: Le Genecheyen automne and Village sous la neige. I can look at them and be transported to a place of absolute stillness and solitude. Gantner paints my favorite winter sky–you can put yourself in the drawing, look up, and feel the bone chilling temperature of the air, see your breath clouding around your face, know that the clouds are weighted with snow that’s going to start falling at any moment. I love John Singer Sargent’s work, but also this quote of his: “I do not judge, I only chronicle.” Sherrie Wolf’s paintings are sly and ripe and luscious; I especially like Tulips with Bird Concert. And some of my new favorites include Brad Woodfin, Julie Heffernan, and Todd Lanam, and the photographs of James D. Griffioen, in particular, his Feral Houses series. Their work provides me with inspiration for the novels I want to write next. 5. Which character in the story do you relate to most and why? I think I relate to certain aspects of each character. Like Alice (and like most writers, I imagine), I practice the art of quiet observation. I have Stephen’s love of salty snacks, and unfortunately for anyone flying next to me, Finch’s feelings of unease when airborne. 6. The narrative shifts between the past and the present. Why did you decide to structure the novel like this? How does it compare to writing something chronologically? I wanted the reader to have a chance to piece together Alice and Natalie’s history from seeing them at different junctures in their lives, adapting to different circumstances. At the same time, I thought it might be interesting to juxtapose the history Finch and Stephen create for the sisters, based on the assumptions they come away with after seeing Bayber’s painting. And the elements of mystery in the novel seemed better served by using this structure. 7. You also alternate between a few different narrators: Alice Kessler, Stephen Jameson and Dennis Finch. For which narrator did you most enjoy writing? Was any one harder than the others? Alice, Stephen and Finch are all wonderfully flawed, but that’s what I love about them. I admire their fortitude and determination; they continue to put one foot in front of the other and move ahead, even when life seems unbearable to them. But I confess to having a special fondness for Stephen, and for the relationship that develops between him and Finch. 8. The characters move and live all over the United States. Did you visit any of the places in the novel for inspiration? I carry New York City and Santa Fe in my mind from the times I’ve been there. Each place is so vibrant in its own way, and both have such iconic identities. I can’t imagine Bayber or Finch, or Stephen for that matter–at least in the long-term–living anywhere other than New York City. And Santa Fe seemed to be the right home for Agnete. I needed a place with a strong sense of spirit, since she doesn’t have familial ties to any particular part of the country. I haven’t visited Tennessee or the Finger Lakes region of New York yet, but would love to. 9. Now that you’ve finished one novel, are you planning on writing another? Yes. I’m working on several projects now. The harder question for me is which to commit to next. Tracy Guzeman lives in the San Francisco Bay Area. 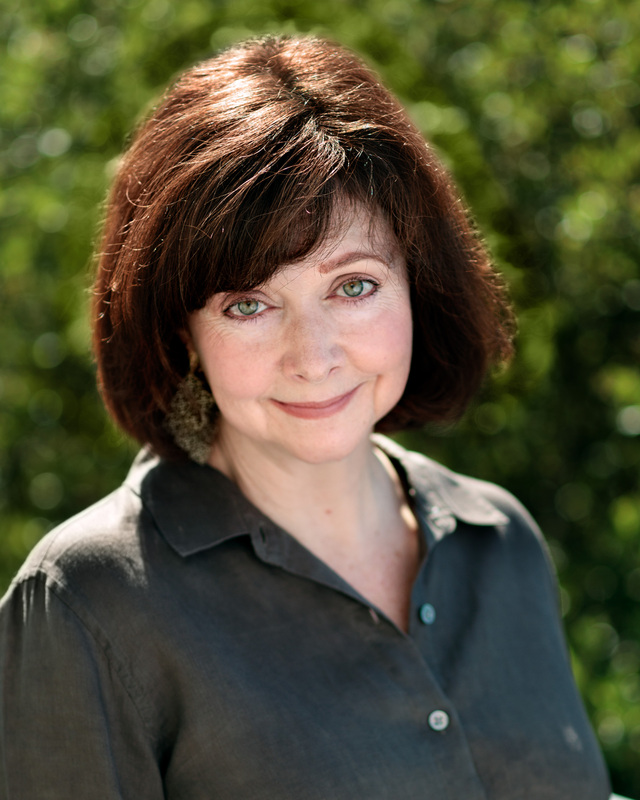 Her work has appeared in Gulf Coast, Vestal Review, and Glimmer Train Stories. The Gravity of Birds is her first novel.